Decorate and personalize! 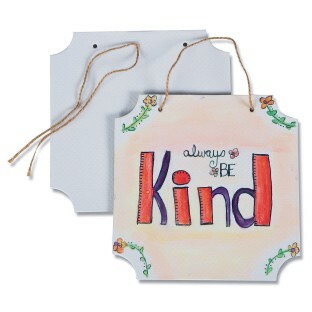 Our plaque is made of watercolor paper mounted on heavy chipboard and die-cut to shape. Create your artwork and thread the included jute in the drilled holes and hang your artwork for display! Surface accepts a variety of decorating supplies including watercolor, markers, pencil, stickers, and more. Crinkling and warp resistant. Decorating supplies sold separately. 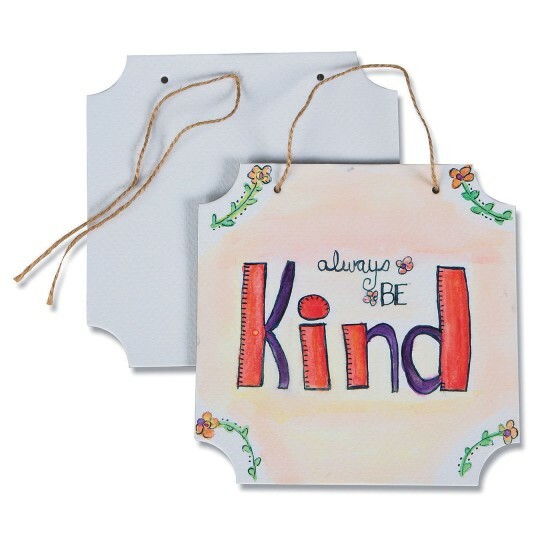 Plaque measures 6”H x 6”W x 1/8” thick with 2 holes for hanging with included jute.